Dark dark brown color. Attractive, spicy, herbal aromas and flavors of artisanal root beer, caramelized fruits and nuts, ginger beer, and cardamom and nutmeg with a glycerous, vibrant, moderately sweet medium body and a tingling, subtle, long finish displaying notes of honeyed nuts, peppery spices, bitter herbs, roots, and barks, and menthol mint finish. A nice, supple amaro that will make a good introduction to the category. 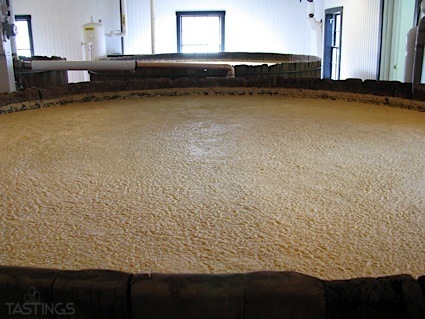 Bottom Line: A nice, supple amaro that will make a good introduction to the category. 93 • Barr an Uisce "Wicklow" Rare Blended Irish Whiskey 43% (Ireland) $49.99. 94 • Barr an Uisce "1803" 10 Year Old Single Malt Irish Whiskey 46% (Ireland) $79.99. 86 • Bepi Tosolini Fragola Strawberry Liqueur 24% (Italy) $29.99. 85 • Bepi Tosolini Exprè Espresso Liqueur 28% (Italy) $29.99. 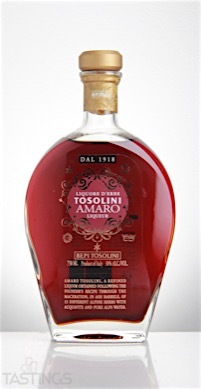 94 • Bepi Tosolini Amaro Liqueur 30% (Italy) $29.99. 88 • Calvados Coquerel Calvados Fine 40% (France) $26.99. 89 • Calvados Coquerel Calvados VSOP 40% (France) $39.99. 88 • Clos Martin VSOP Armagnac 40% (France) $39.99. 93 • Clos Martin XO Armagnac 40% (France) $46.99. 91 • Mezan Rum Panama 2006 40% (Panama) $44.99. 88 • Mezan Rum Guyana 2005 40% (Guyana) $53.99. 90 • Mezan Rum Jamaica 2000 40% (Jamaica) $59.99. 88 • Mozart Chocolate Liqueur 17% (Austria) $19.99. 91 • Saliza Amaretto Veneziano 28% (Italy) $29.99. Bepi Tosolini Amaro Liqueur rating was calculated by tastings.com to be 94 points out of 100 on 10/29/2016. Please note that MSRP may have changed since the date of our review.